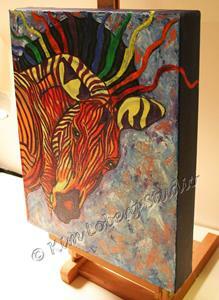 'Birth of Celestial Zebra' began life as a sketch titled 'Zebra Splash.' We had been to Omaha's Henry Doorly Zoo and, as usual, I took hundreds of photographs. The zoo's zebra stallion posed that day in rather unusual ways. In my reference photo, he was grooming his hind leg. 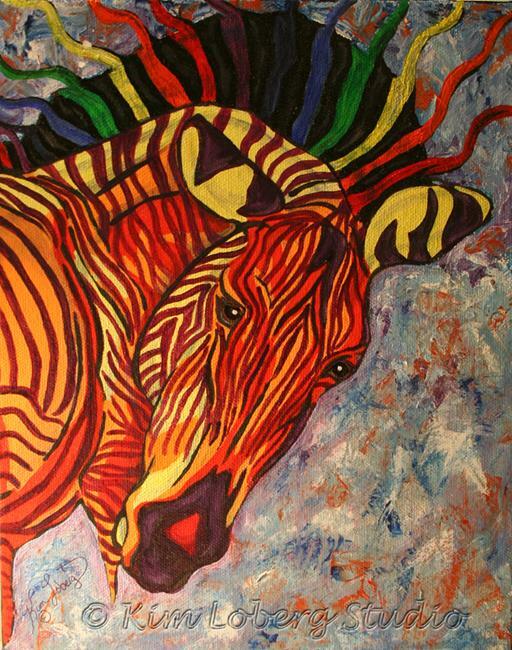 My goal was to deconstruct the zebra and use the â€˜roygbivâ€™ (red, orange, yellow, green, blue, indigo, violet) rainbow in his mane and stripes. I used warm colors for the underpainting and decided that I liked the look of it. 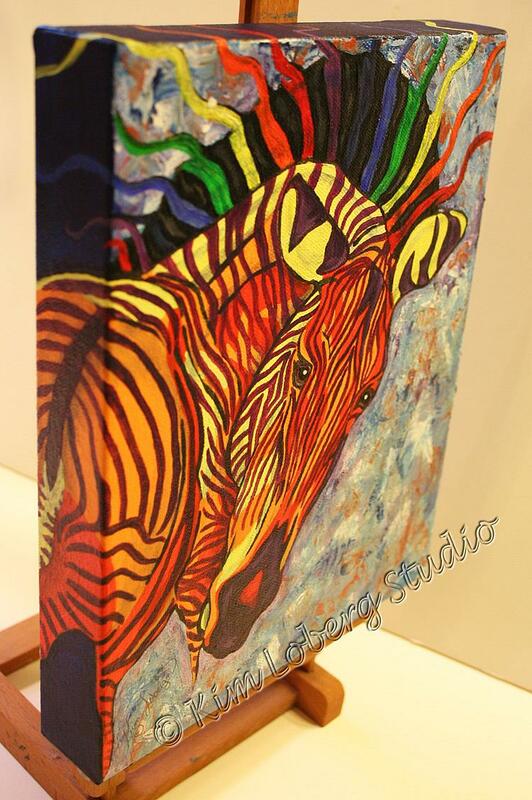 The rainbow stayed in his mane and was left to flow out over the canvas, but rainbow stripes would be lost against the zebraâ€™s yellows and oranges. My favorite color to the rescue! Purple stripes paired nicely with its complementary color yellow. 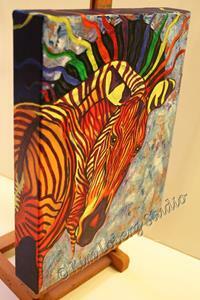 Placing the same purple against the oranges in the zebra created a welcome change in the stripesâ€™ value. 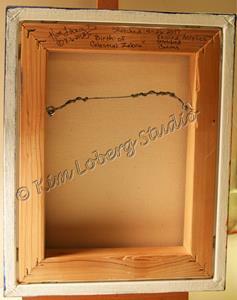 I had already laid out the background using blues, purples and white, with a little metallic copper as an accent. The canvas sides were painted a deep Prussian blue to give the impression of deep space with the milky way galaxy slowly meandering through our solar system. Alas, â€˜Zebra Splashâ€™ was no more! The zebra now reminded me of a new star or planet being born, hence the paintingâ€™s new name.